The Business incubator » Who are we? La Forge is a unique location which groups together a small business incubator and the management of Val d’Europe agglomération’s economic development service. Funded and managed by Val d’Europe Agglomération, La Forge works daily to promote the economy and development of Val d’Europe. Located in the heart of Val d’Europe and close to all major routes, you will find all the necessary support needed for the creation and development of your company at La Forge. Join the “forgers”, a network of young innovative entrepreneurs who are already installed and accelerate your growth through tailored support ! The P3MIL Network is an Ile-de-France business incubator network. Its goal is to unite business incubators throughout Ile-de-France and to participate in all development and promotion relating to economic entrepreneurship. The P3MIL Network brings together 43 business incubators and 6 start-up incubators. The Conseil Régional d’Ile-de-France (the Ile-de-France Regional Council) is the funding partner of the business incubator and provides numerous measures that can help entrepreneurs in their development. Seine-et-Marne Développement is the economic agency created by the Conseil Général de Seine-et-Marne (the Seine-et-Marne General Council). It promotes the dynamism of the territory by deploying all possible synergies between both public and private economic actors. CCI de Seine-et-Marne (the Seine-et-Marne Chamber of Commerce and Industry) is to support business regardless of its size or the sector to which it belongs, in all stages of its development. 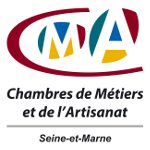 Seine et Marne Chambre des Métiers et de l’Artisanat (Chamber of Trades and Crafts) is at your service to advise and assist you in the creation and development of your business. It also provides information and advice on lifelong vocational training. CEVE, the Club des Entrepreneurs du Val d’Europe (Val d’Europe Entrepreneurs Club), is an association created by entrepreneurs and Val d’Europe agglomération with a desire to promote exchanges between its members and develop the reputation of the territory. The CEVE will also promote the integration of recently established new companies in the area.